DNA is “the deepest and most essential patrimony of the human person” [1Piazza A. Le biobanche: tra genetica e diritto. Iustitia 2006; 1: 41. ], because it is shared with other people from the same geographical area. It may predict future events or the possibility that may occur. It is easy to obtain, and can be of interest to third parties [2Cannovo N, Paternoster M, Buccelli C. Predictive genetic tests for employment purposes: why not? Med Law 2010; 29(3): 419-32. [PMID: 22145561] ] such as family members, insurance companies and employers. Therefore, there is great interest in this information, espe cially since genetic predisposition has been clearly demons trated for various diseases such as cardiovascular pathologies [3Wang L, Fan C, Topol SE, Topol EJ, Wang Q. Mutation of MEF2A in an inherited disorder with features of coronary artery disease. Science 2003; 302(5650): 1578-81. [http://dx.doi.org/10.1126/science.1088477] [PMID: 14645853] , 4Savoia C, Volpe M, Grassi G, Borghi C, Agabiti Rosei E, Touyz RM. Personalized medicine-a modern approach for the diagnosis and management of hypertension. Clin Sci (Lond) 2017; 131(22): 2671-85. [http://dx.doi.org/10.1042/CS20160407] [PMID: 29109301] ] diabetes [5Florez JC. Mining the genome for therapeutic targets. Diabetes 2017; 66(7): 1770-8. [http://dx.doi.org/10.2337/dbi16-0069] [PMID: 28603140] ], late onset Alzheimer [6Myers A, Holmans P, Marshall H, et al. Susceptibility locus for Alzheimer’s disease on chromosome 10. Science 2000; 290(5500): 2304-5. [http://dx.doi.org/10.1126/science.290.5500.2304] [PMID: 11125144] ], schizophrenia [7Sundby A, Boolsen MW, Burgdorf KS, et al. Stakeholders in psychiatry and their attitudes toward receiving pertinent and incident findings in genomic research. Am J Med Genet A 2017; 173(10): 2649-58. [http://dx.doi.org/10.1002/ajmg.a.38380] [PMID: 28817238] ] bipolar disorder [8Kennedy JLA, Farrer LA, Andreasen NC, Mayeux R, St George-Hyslop P. The genetics of adult-onset neuropsychiatric disease: complexities and conundra? Science 2003; 302(5646): 822-6. [http://dx.doi.org/10.1126/science.1092132] [PMID: 14593167] ], autism [9Monaco AP, Bailey AJ. Autism. The search for susceptibility genes. Lancet 2001; 358(Suppl. ): S3. [http://dx.doi.org/10.1016/S0140-6736(01)07016-7] [PMID: 1178 4552] ], cancer [10Peto J. Cancer epidemiology in the last century and the next decade. Nature 2001; 411(6835): 390-5. [http://dx.doi.org/10.1038/35077256] [PMID: 11357148] -12Falco G, Rocco N, Bordoni D. Contralateral risk reducing mastectomy in Non-BRCA-Mutated patients. Open Medicine (Poland) 2016; 11(1): 238-41. [http://dx.doi.org/10.1515/med-2016-0089] ] and rare diseases [13Krier JB, Kalia SS, Green RC. Genomic sequencing in clinical practice: applications, challenges, and opportunities. Dialogues Clin Neurosci 2016; 18(3): 299-312. [PMID: 27757064] ]. Samples used for genetic diagnoses or purposes closely related to genetic data are collected in a genetic biobank [15SIGU TELETHON Linee guida per le Biobanche Genetiche 2003. Available from: www.sigu.net [Accessed on July 21, 2018]]. These collections have the particular characteristic that the identity of the donor can be connected to his/her personal, genealogical and clinical data. The purpose of genetic biobanks [15SIGU TELETHON Linee guida per le Biobanche Genetiche 2003. Available from: www.sigu.net [Accessed on July 21, 2018]] is to support research to identify the mutations that cause genetic diseases, since they permit researchers to collect material from families affected by the same pathology, with an enormous saving of energy and funds. Another particularly fertile field for genetic research is that of chronic pathologies. The Evaluation of Genomic Applications in Practice and Prevention (EGAPP) [18Evaluation of Genomic Applications in Practice and Prevention (EGAPP). Available from: www.cdc.gov/egappreviews/default.html [Accessed on July 21, 2018]], created in 2004 by the CDC National Office of Public Health Genomics in the United States, has studied the genetic aspects of many tumoral pathologies by referring to samples in biobanks, with good applicative outcomes. At the same time, when biobanks facilitate the study of various factors of genetic risk related to an illness, they potentially influence the societal conceptions of responsibility, group identity and future options [19Lindgaard Hoeyer K. Size matters: The ethical, legal, and social issues surrounding large-scale genetic biobank initiatives. Nor Epidemiol 2012; 21(2): 211-20.]. In fact, new quandaries emerge when genetic research identifies groups of subjects who carry genes that place them at higher risk for a disease. These “individuals at risk” fall into a disease category that is ambiguous because of the slippage between the risk factor and the disease itself [20Greene JA. Prescribing by Numbers: Drugs and the Definition of Disease 2007. ]: they are not ill, but may become so. How should they be treated? As sick people? As healthy people at risk? Should they be counselled not to have children? Should they be subjected to higher health insurance premiums? Epistemic change influences cultural change, and in this case can lead to the creation of a cultural current that views genetic research with suspicion. In the scientific literature, genetic exceptionalism [21Otlowski M. Exploring the concept of genetic discrimination. J Bioeth Inq 2005; 2(3): 165-76. [http://dx.doi.org/10.1007/BF02448597] [PMID: 16578943] , 22Murray TH. Genetic exceptionalism and “Future Diaries”: Is genetic information different from other medical information?Genetic secrets: Protecting privacy and confidentiality in the genetic era 1997.] is the line of thought according to which all the information derived from DNA, because of the intrinsic characteristics of the genetic patrimony, must be considered a separate category from the common information that can be deduced from in-depth family anamnesis, and should be afforded particular protection. The need for genetic privacy [23Everett M. Can you keep a (genetic) secret? The genetic privacy movement. J Genet Couns 2004; 13(4): 273-91. [http://dx.doi.org/10.1023/B:JOGC.0000035522.58496.c8] [PMID: 19736694] ] is fueled by the fear of discrimination, social stigmatization, family problems, loss of control of one’s identity, as well as the psychological implications, because genetic information can be “potentially embarrassing and uniquely personal” [24Annas GJ. Privacy rules for DNA databanks. Protecting coded ‘future diaries’. JAMA 1993; 270(19): 2346-50. [http://dx.doi.org/10.1001/jama.1993.03510190102034] [PMID: 823 0598] ]. To date, the lack of a common legislative framework in Europe and the world has allowed local researchers considerable independence, but has limited the ability to create transnational biobanks [25Elger B, Biller-Andorno N, Mauron A, Capron AM. Ethical Issues in Governing Biobanks: Global Perspectives 2008. ], a significant exception being the EuroBioBank, “a network of biobanks that stores and distributes quality DNA, cell and tissue samples for scientists conducting research on rare diseases genetic material and rare diseases” [26 http://www.eurobiobank.org/ [Accessed on December 28, 2018]]. However, recent years have seen a growing awareness that transnational collaboration is essential researchers have access to a greater quantity of biological samples. It is no coincidence that in the recent years there has been an increase in the number of transnational associations and entities involved with genetics, which permit the circulation of ideas in various affiliated nations. An example is the P3G Consortium [27Cannovo N, Folliero V, Russo A, Meccariello E. The role of international stakeholders in genetic research 2013.Proceeding of the 9th World Conference on Bioethics, Medical Ethics & Health Law 2013 November 19-21; Naples, Italy. 2013. ], an international not-for-profit organization that catalogues experiences in the field of population genetics, in order to build common research strategies to facilitate harmonization and open the door to future collaborations. Another valid example of openness in this sense is the pan-European Biobanking and Biomolecular Resources Research Infrastructure - European Research Infrastructure Consortium (BBMRI-ERIC [28European Research Infrastructure Consortium. Ethical, Legal and Societal issues http://www.bbmri-eric.eu [Accessed on December 28, 2018]]), whose funding includes a grant from the European Unions’ Horizon 2020 research and innovation program. It is obvious that the methods used for genetic research do not present intrinsic risks; they are much less dangerous than other activities of diagnosis and research. However, there is an “information risk” for the patient [30Di Lorenzo P, Casella C, Capasso E, et al. The central importance of information in cosmetic surgery and treatments. Open Medicine (Poland) 2018; 13(1): 153-7.[http://dx.doi.org/10.1515/med-2018-0024. eCollection 2018] ], who may suffer psychological harm from receiving the genetic test results themselves or from the way the results are conveyed, or for the patient’s relatives, since the results may have repercussions for them as well. In order to deal with these ethical and legal implications, North American organisations, followed by European Union ones, have published guidelines or ethical codes that serve genetic professionals on an international scale. Another issue to be faced is the problem of incidental findings discovered in the course of the research. The committees of the Clinical Sequencing Exploratory Research (CSER) Consortium and the Electronic Medical Records and Genomics (eMERGE) Network [31Jarvik GP, Amendola LM, Berg JS, et al. Return of genomic results to research participants: the floor, the ceiling, and the choices in between. Am J Hum Genet 2014; 94(6): 818-26. 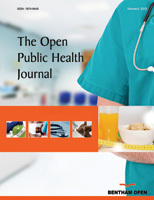 [http://dx.doi.org/10.1016/j.ajhg.2014.04.009] [PMID: 24814192] ] asserted that researchers must limit themselves to informing participants about the research results; they have no moral obligation to undertake clinical tests on the basis of these results, according to the principle that clinical research is distinct from medical care in both its aims and its guiding moral principles. However, physicians are required to provide complete information expressed in terms that the subject can understand. In addition, once the information has been obtained from the genetic tests, physicians will tend to give more or less importance to certain data on the basis of their scientific and cultural formation. The first to grasp the importance of this aspect were the Scandinavian nations. For example, a 1999 document of the “Swedish Medical Research Council [32Abott A. Sweden sets ethical standards for use of genetics biobanks. Nature 1999; 400(July): 13. [PMID: 10403239] ]” defined biobanks as collections of human tissue samples, the origin of which must always be traceable. Italy lacks a national law on the subject, but the 2016 Authorisation for the use of genetic data prepared by the Guarantor for the Treatment of Personal Data states that the treatment of genetic data is allowed only for purposes of prevention, diagnosis or treatment of the subject, or of scientific research, or for purposes of proof in civil or penal cases, according to the dictates of law. Of central importance in this legislative vacuum are the ethics committees [33Ricci G, Cannovo N. La. 2010.2010.Proceedings of the FIRB Conference 2010, June 3-4; Ferrara, Italy. 2010. ], which evaluate the ethics of studies on genetic data, and also express opinions on research programs that involve the study of data or samples when for particular reasons it is not possible to inform the donors [34 Art. 110. Legislative Decree "Codice in materia di protezione dei dati personali" 30th June 2003, n. 196, publish on Official Gazzette n. 174 of 29th July 2003 -36 art. 8 of the “Autorizzazione al trattamento dei dati genetici” February 22nd 2007.]. But knowledge of genetic information can change an individual’s self-perception and deeply influence the character of his or her social organization, in cases in which the genetic patrimony could be an obstacle to a certain type of work. There could also be significant implications for family planning. For example, if a couple is aware that one of them has a predisposition to a genetic disease, they may choose not to have children [37Paternoster M, Saccone G, Maruotti GM, et al. Ethical challenges in pregnant women with brain injury. Journal of Maternal-Fetal and Neonatal Medicine 2018; 31(17): 2340-1. [http://dx.doi.org/10.1080/14767058.2017.1339271] ]. Or when Non-Invasive Prenatal Testing (NIPT) are performed, information about the fetus could induce a disproportionate and unjust recourse to abortion in nations that permit it, becoming a form of biological eugenics [38Holtzman NA. Eugenics and genetic testing. Sci Context 1998; 11(3-4): 397-417. [http://dx.doi.org/10.1017/S0269889700003100] [PMID: 15168670] , 39Piras M, Delbon P, Bin P. Voluntary termination of pregnancy (medical or surgical abortion): Forensic medicine issues. Open Medicine (Poland) 2016; 11(1): 321-6. [http://dx.doi.org/10.1515/med-2016-0062] ] or of “positive eugenics [40Ricardo MLB, Roberto JBB. Is genetic counseling a form of eugenics? Rev Cienc Salud 2018; 16(1): 10-26. ]”, the goal of which is to avoid unfavorable medical conditions [41Ravitsky V. The shifting landscape of prenatal testing: Between reproductive autonomy and public health. Hastings Cent Rep 2017; 47(Suppl. 3): S34-40. [http://dx.doi.org/10.1002/hast.793] [PMID: 29171889] ], rather than impose a genetic structure on future generations [42Casella C, Capasso E, Terracciano L, et al. Ethical and legal issues in gestational surrogacy. Open Medicine (Poland) 2018; 13(1): 119-21. [http://dx.doi.org/10.1515/med-2018-0019] ]. According to the Denver Post [43 The rise of a new eugenics. https://www.denverpost.com/ 2013/07/03/the-rise-of-a-new-eugenics/], 80 to 90 percent of women who receive a positive result from an amniocentesis test for Down Syndrome choose to terminate the pregnancy. Their decision is not made on the basis of a moral evaluation [44Gillott J. Screening for disability: A eugenic pursuit? J Med Ethics 2001; 27(Suppl. 2): ii21-3. [http://dx.doi.org/10.1136/jme.27.suppl_2.ii21] [PMID: 11574654] ], but is grounded in concern about how having a Down Syndrome child will affect their life as a couple. The scientific community has been reflecting for many years on the need to inform citizens adequately about the issue of genetic research. In this regard, numerous international studies have explored people’s awareness about the risks of genetic engineering, their rights to receive or give information (including the responsibility to family and society), and their involvement in public debate on genetics. One example is the “European COB [45Institut fur Ethik und Geschichter der Medizin. Challenges of Biomedicine –Socio-Cultural Contexts, European Governance, and Bioethics Available from: http://www.egmed.uni-goettingen.de /index.php?id=183 [Accessed on July 21, 2018]]” - Challenger of Biomedicine, Meetings and Minds. The committees of the Clinical Sequencing Exploratory Research (CSER) Consortium and the Electronic Medical Records and Genomics (eMERGE) Network [46Jarvik GP, Amendola LM, Berg JS, et al. Return of genomic results to research participants: the floor, the ceiling, and the choices in between. Am J Hum Genet 2014; 94(6): 818-26. [http://dx.doi.org/10.1016/j.ajhg.2014.04.009] [PMID: 24814192] ] assert that participants in research, if they have given informed consent, must be informed of the results of a study and participate in an appropriate clinical follow up. It is evident that directly involved citizens, such as those suffering from neurodegenerative pathologies or cancer [47Malone T, Catalano PJ, O’Dwyer PJ, Giantonio B. High rate of consent to bank biologic samples for future research: The Eastern Cooperative Oncology Group experience. J Natl Cancer Inst 2002; 94(10): 769-71. [http://dx.doi.org/10.1093/jnci/94.10.769] [PMID: 12011228] ], are more likely to donate their tissues and support the establishment of biobanks designed to study their pathology, while the average citizen for whom this issue has no relevance, or members of ethnic or religious minorities, tend to be reluctant to participate in genetic studies. This issue came to international attention in 1996, when Icelandic citizens gave explicit consent for an initial collection of DNA and implicit consent for a second one for the deCODE Genetics [48Merz JF, McGee GE, Sankar P. “Iceland Inc.”? : On the ethics of commercial population genomics. Soc Sci Med 2004; 58(6): 1201-9. [http://dx.doi.org/10.1016/S0277-9536(03)00256-9] [PMID: 1472 3914] ] study, which also gathered sensitive health-related data archived in the nation’s Health Sector Database. There was international debate on the importance of transparent provision of information so that citizens are fully aware of the ramifications of their involvement. They have pointed out that the lack of public participation in the debate regarding new genomic technologies [49Burgess MM, Tansey J. Democratic deficit and the politics of “informed and inclusive” consultation.Hindsight to Foresight in Emerging Technologies 2008; 275-88.-51Gottweis H. Emerging forms of governance in genomics and post-genomics:structures, trends, perspectives.Genetic Governance: Health, Risk and Ethics in the Biotech Era 2005.] highlights a deficit in Western democracies, while, conversely, active involvement promotes social justice, confirming Kant’s view that all people and their points of view on the issue are important [52Foltz F. Five arguments for increasing public participation in making science policy. Bull Sci Technol Soc 1999; 19: 117-27. [http://dx.doi.org/10.1177/027046769901900206] ]. If the national healthcare system were able to identify families or entire populations that have a predisposition to certain genetic diseases, it could establish prevention and early treatment programs for these categories. If, instead, citizens do not wish to participate in genetic screening programs, the healthcare authorities will not have the data they need for identifying these predispositions, and consequently the subjects at risk will not benefit from actions the authorities might have been able to undertake to identify and treat these categories of at-risk citizens. By now it is clear that patients need to take on a key role in genetic research [53Budin-Ljøsne I, Harris JR. Ask not what personalized medicine can do for you--ask what you can do for personalized medicine. Public Health Genomics 2015; 18(3): 131-8. [http://dx.doi.org/10.1159/000373919] [PMID: 25766382] ], not only because doing so directly provides material for studies, but also because they can influence their governments’ choices about the research programs to be undertaken to improve the general health of the nation. The duty of social solidarity was emphasized by the Universal Declaration on the Human Genome and Human Rights, adopted unanimously by UNESCO in 1997 [52Foltz F. Five arguments for increasing public participation in making science policy. Bull Sci Technol Soc 1999; 19: 117-27. [http://dx.doi.org/10.1177/027046769901900206] , 54UNESCO. Universal Declaration on the Human Genome and Human Rights Available at: http://www.unesco.org/new/en/ social-and-human-sciences/themes/bioethics/human-genome-and-human-rights/ [Accessed on July 21, 2018]], which is the first document of universal importance in the field of bioethics. It was written to provide ethical and legal principles for the promotion of freedom of research, human dignity, solidarity and international cooperation. Social solidarity may strongly influence the decision of citizens to participate in genetic research in the interests of benefit-sharing. As stated in the Declaration on the Human Genome [55UNESCO-International Bioethics Committee. Universal Declaration on the Human Genome and Human Rights Paris 1997. Available from: http://www.unesco.org/new/en/social-and-human-sciences/themes/bioethics/human-genome-and-human-rights/ [Accessed on July 21, 2018]] (1997), “Benefits from advances in biology, genetics and medicine, concerning the human genome, shall be made available to all, with due regard for the dignity and human rights of each individual. Freedom of research, which is necessary for the progress of knowledge, is part of freedom of thought. The applications of research, including applications in biology, genetics and medicine, concerning the human genome, shall seek to offer relief from suffering and improve the health of individuals and humankind as a whole (art. 12)”. The HUGO Ethics Committee [56Ethics Committe HUGO. Statement on benefit sharing. Eubios J Asian Int Bioeth 2000; 10: 70-2.] (2000) approved a declaration on the sharing of benefits from genetic studies, which should not only have positive effects for the health of subjects involved in the research, but also should provide broader and more immediate gain for these communities in terms of investments in welfare by private firms that benefit financially from the samples donated. The HUGO [57HUGO Ethics Committee. Statement on Human Genomic Databases. Eubios J Asian Int Bioeth 2003; 13: 99.] Statement on human genomics databases (2002) also indicates that these biobanks should be “global public goods” and that there should be “fair and equitable” distribution of the benefits of research. It also called for recognition of the rights of researchers, institutions and business entities to a “fair return” for their intellectual and financial contribution (recommendation 6). On the basis of social solidarity and the duty of subsidiarity of citizens who participate in genetic research, some authors [58McGuire AL, Oliver JM, Slashinski MJ, et al. To share or not to share: a randomized trial of consent for data sharing in genome research. Genet Med 2011; 13(11): 948-55. [http://dx.doi.org/10.1097/GIM.0b013e3182227589] [PMID: 2178 5360] -60Bylstra Y, Lysaght T, Thrivikraman J, Watson S, Tan P. Ethical frameworks for obtaining informed consent in tumour profiling: an evidence-based case for Singapore. Hum Genomics 2017; 11(1): 31. [http://dx.doi.org/10.1186/s40246-017-0127-1] [PMID: 29221462] ] have proposed using biological samples for future research even without specific informed consent, or when there is a generalized consent that allows any kind of future research without specifying the details. In this way, citizens would not benefit personally from the research but could contribute to the common good in terms of public health. Others go much farther, perhaps in doing so undermining social solidarity. Some authors have proposed dynamic consent, obtained through the use of new computer technologies to reach patients [61Kaye J, Whitley EA, Lund D, Morrison M, Teare H, Melham K. Dynamic consent: a patient interface for twenty-first century research networks. Eur J Hum Genet 2015; 23(2): 141-6. [http://dx.doi.org/10.1038/ejhg.2014.71] [PMID: 24801761] ]. This method of acquisition of consent, through a digital communication interface, facilitates two-way communication to stimulate a more engaged, informed and scientifically literate participant population where individuals can tailor and manage their own consent preferences. Just think of how insurance companies could use genetic data of members of the genetic underclass [621997.http://findarticles.com/p/articles/mi_m1272/is_n2625_v125/ai_19496201/] (the subclass of people who do not have access to healthcare coverage for “genetic” reasons) or how pharmaceutical firms [63Van Delden B, Kalis D. Leufkens. Tailor made pharmacotherapy: Future developments and ethical challenges in the field of pharmacogenomics. Bioetics 2004; 4: 305-19.] might discriminate against less widespread genotypes, for whom bulk drugs are ineffective: these minorities of individuals with particular genotypes would end up not receiving drugs specifically for them. In this context, according to the Council of Europe [64 Council of Europe, Reccomandation 1512 ,2001, on the Protection of the human genome, Strasbourg, Council of Europe], the mass media play an important role in the spread of information about genetics, and are key to promoting the citizen participation in the discussion on the human genome. Since the early 1990s, the establishment of biobanks has been considered an attractive economic activity [65Hoeyer K. The ethics of research biobanking: A critical review of the literature. Biotechnol Genet Eng Rev 2008; 25: 429-52. [http://dx.doi.org/10.5661/bger-25-429] [PMID: 21412365] ] because the results of scientific research based on biobank samples could serve in drug development, could inform disease prevention policies, and could be useful to insurance corporations in designing and adapting policies. The problem is that this economic aspect can undermine the social solidarity that motivates the donation of these tissues from which genetic data can be obtained. Economic interests could come to outweigh the needs of medical science, and thus the benefits of the results obtained would not be shared with the very populations who were the object of the studies. The literature on the theme provides no uniform interpretations of the role of genetics in public health: many countries tend toward total interference of research in the life of citizens (e.g., Denmark [67Danmarks National Biobank. The Danish Biobank Register Available from: www.biobankdenmark.dk/ [Accessed on January 21, 2019], 68Christensen H, Nielsen JS, Sørensen KM, Melbye M, Brandslund I. New national Biobank of The Danish Center for Strategic Research on Type 2 Diabetes (DD2). Clin Epidemiol 2012; 4: 37-42. [http://dx.doi.org/10.2147/CLEP.S33042] [PMID: 23071400] ], Belgium [69Van den Eynden J, Descamps T, Delporte E, et al. The genetic structure of the Belgian population. Hum Genomics 2018; 12(1): 6. [http://dx.doi.org/10.1186/s40246-018-0136-8] [PMID: 29394955] ], Iceland, and Australia [70Tiller Jane, Otlowski Margaret, Lacaze Paul. Should Australia ban the use of genetic test results in life insurance? Perspective published: 13 December 2017[http://dx.doi.org/10.3389/fpubh.2017.00330] ]) while others have taken a more prudent approach, that is, they have not created national infrastructures, but, as in the case of Italy, have many small collections at public or private institutes. Clearly, in both choices, it is important to identify new responsibilities and opportunities, not only those gained but also those lost [71Juengst E, McGowan ML, Fishman JR, Settersten RA Jr. From “Personalized” to “precision” medicine: The ethical and social implications of rhetorical reform in genomic medicine. Hastings Cent Rep 2016; 46(5): 21-33. [http://dx.doi.org/10.1002/hast.614] [PMID: 27649826] ]. The greater the number of samples collected in a national biobank, the more feasible it is for genomic analysis to move from scientific, clinical, governmental and commercial settings to that of personalized genomic medicine for the nation’s citizens. However, what will happen if “stratified medicine” [71Juengst E, McGowan ML, Fishman JR, Settersten RA Jr. From “Personalized” to “precision” medicine: The ethical and social implications of rhetorical reform in genomic medicine. Hastings Cent Rep 2016; 46(5): 21-33. [http://dx.doi.org/10.1002/hast.614] [PMID: 27649826] ] becomes “stratified markets”? When the potential sales to certain subgroups or entire nations are too insignificant to merit investment by pharmaceutical firms, these people could end up lacking the “personalized genomic medicine” that could cure their health problems. Would this social injustice be addressed by their governments, which, after all, promoted a national biobank of its citizens’ biological samples? The theme of the human genome has been addressed in terms of respect for human dignity and the fundamental rights of the person by numerous international documents, such as the Recommendation of the Committee of Europe regarding genetic data and tests [72Recommendation Rec(2006)4 of the Committee of Ministers to member states on research on biological materials of human origin Available from: https://www.coe.int/t/dg3/healthbioethic/Activities /10_Biobanks/Rec%282006%294%20EM%20E.pdf [Accessed on July 21, 2018]], the 1977 Convention on Human Rights and Biomedicine, the 1997 UNESCO Universal Declaration on the Genome and Human Rights, the EU’s 2000 Charter of Fundamental Rights, the November 1996 Code of Conduct of the International Labour Organization on the protection of the personal data of workers, the Helsinki Declaration of the World Medical Association (June 1964 and successive modifications), and the European Commission Working Document on Genetic Data adopted March 17, 2004 by the Working Party for the Protection of Individuals with regard to the processing of personal data. Even though in the last decade the scientific and juridical literature has contributed greatly to the topic of biobanks, the perplexities that continue to surround this theme give the idea that current ethical protocols on research are inadequate [73O’Doherty KC, Hawkins A. Structuring public engagement for effective input in policy development on human tissue biobanking. Public Health Genomics 2010; 13(4): 197-206. [http://dx.doi.org/10.1159/000279621] [PMID: 20395688] ].